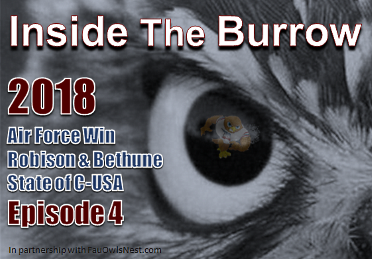 Dan, Jack, and Shane talk FAU's big victory of Air Force. Now that Chris Robison has settled as the starting QB, what should FAU fans expect against Bethune-Cookman? The guys also discuss several new aspects of the gameday experience and the current state of CUSA. Go Owls!